Day 184 – Simplify, Simplify. . .
Woke up to snow this morning . . . yeah, snow is the only precipitation that, when it comes down, actually makes it brighter outside. We thought for sure that the sun was out because of the bright light peering through our hotel curtains. However, that hope was dashed in second when we saw the flurries coming down. The good news was that it wasn’t sticking to the ground and the temperature was in the low 40’s so everything was going to be melting anyway. We managed a quick visit with Daughter #2 before she headed off to the library for some studying , so sitting at the hotel after lunch, we looked up directions to Walden Pond. Yes, the very same Walden Pond that Henry David Thoreau lived at for two years from 1845-1847. It was literally twenty minutes from the hotel, so off we went. As Thoreau would say, “Go confidently in the direction of your dreams. Live the life you have imagined. As you simplify your life, the laws of the universe will be simpler.” And, confidently, we drove in the direction of Walden Pond, and finding it, the surroundings were even more beautiful than expected. Yes, the Pond was frozen; yes, the wind was blowing from the Northeast; yes, it wasn’t an ideal day for a hike; and yes, we met and talked with guy who was ice fishing on the back side of the pond! Imagine what this place must have looked like 175 years ago? We thought it was extremely inciteful when we stumbled upon this quote, “I heartily accept the motto, “That government is best which governs least”; and I should like to see it acted up to more rapidly and systematically.” Isn’t it amazing how historians, poets, writers and businessmen of the past can have such an altruistic view of things, but today, we only look at what’s in front of our noses? Amazing. And, so was Walden Pond. If you ever get the opportunity to visit the Boston area, you’ve got to see all that is Walden Pond. Appropriately, we tasted a 2011 Malbec called, Reunion, from the Mendoza area of Argentina. Oh, the tobacco on the nose; together with hints of cedar and dark fruits, it was tough to take a sip because we were enjoying the nose! However, being troubadours, we dove in and were not disappointed. . .even for a young Malbec, this one was smooth, fruity and complex. The dark fruits–blackberries, raspberries–all at the front of the line, and the finish was every bit as good as the front. 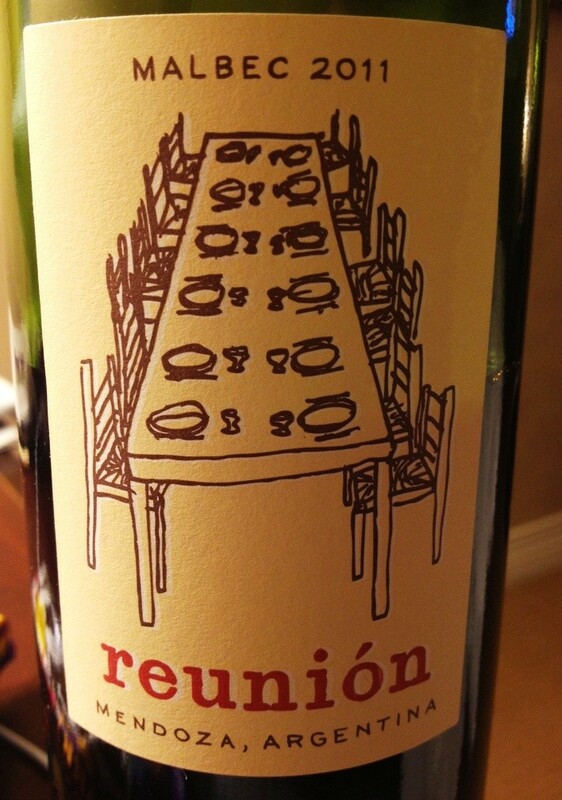 It’s a unique wine that can pull of the complete picture with such a young vintage, but Reunion did just that. And, given the day’s events, we felt like it was a perfect name to pair with our adventures! “You must live in the present, launch yourself on every wave, find your eternity in each moment.” So, Thoreau would probably be amazed at today’s society . . . there’s no doubt that living in the present is what seems to occupy most everyone, but there is something so amazingly prophetic about many of his quotes. We hope that you’ll simply your life – enjoy good wine–live in the present–enjoy good wine, and know that life is a kick to be enjoyed. It was so wonderful that we managed to hook up again with D#2 for dinner and then one more hug before we headed out to the hotel. These kinds of hugs are long and hard to release from – but we know that it’s time for us to head back to Texas in the morning, knowing that we leave a little piece of us here – to act as a holdover until we see each other again. And we know she is in good hands with the special people in her life here – we are so glad we got to meet them and look forward our next visit. Categories: Uncategorized | Tags: family, Mendoza, red wine, Reunion Malbac | Permalink.